On behalf of Admin of JML Law, A Professional Law Corporation posted in Truck Accident on Monday, Apr 16 2018. Truck accidents can be very serious. A commercial truck is much larger than a passenger vehicle. The size different often means that truck drivers will not be harmed in a crash, but a driver of a car or a passenger could suffer serious injuries. Many commercial truck accidents have the same types of causes. Knowing these can often help you avoid accidents and keep you and your loved ones safe. If, however, you have been in a collision with a large truck, a car accident attorney can help you recover compensation for the damage that the truck may have caused. One of the most common causes of truck accidents occurs when a truck moves outside of its lane of travel. This type of action could be because of drifting into another lane or in oncoming traffic. It could also be a deliberate maneuver that becomes dangerous because other vehicles are in a blind spot or attempting to pass at the time of the move. According to a study done by the National Highway Traffic Safety Administration (NHTSA), this type of error accounted for nearly one-third of all large truck accidents. Maintaining control of a large truck can be very difficult, but it is also absolutely critical for the safety of the truck driver and those around him or her. When a driver loses control of a large truck, that can be mean that the truck may cause harm to everyone around it, even if another vehicle did not attribute to the collision. The NHTSA reports that loss of control accidents make up roughly 30 percent of all crashes. Speeding plays a large part in being able to maintain control of a large truck. The NHTSA indicated that traveling over the speed limit was a factor in nearly one-fourth of all truck accidents. Interesting, drug use is one of the most common reasons that driver’s make errors that lead to a crash. While illicit drug use is certainly a problem, prescription drug use may also be a serious issue. Drivers sometimes underestimate the side effects that they experience even with prescription drugs—one of which is fatigue. Drugs often slow reaction time as well, which makes a collision much more likely. Drug use is estimated to be involved in approximately 26% of all large commercial truck accidents. 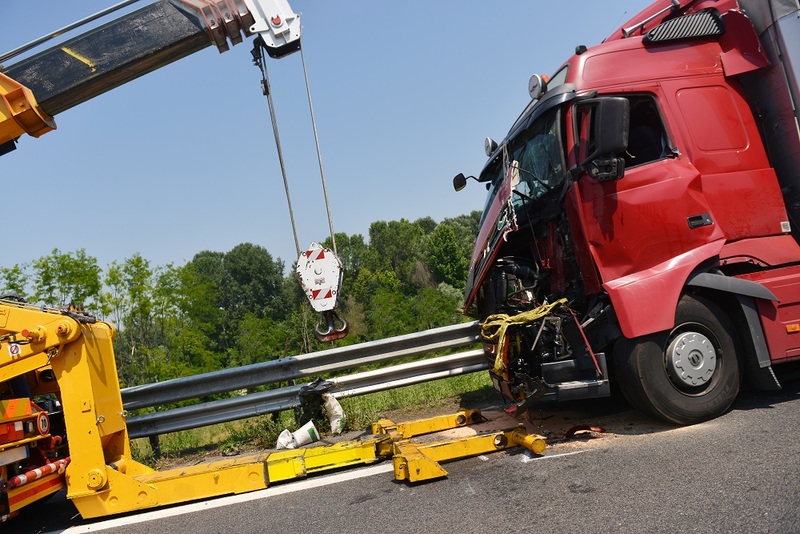 Truck accident cases can be complex because they can involve numerous parties, severe injuries, and unique legal regulations that often do not apply to passenger vehicles. If you or a loved one has been involved in a truck accident, you need a Los Angeles truck accident attorney who has experience in this unique area of the law. JML Law can help. Contact us today to set up a no-obligation consultation or learn more.